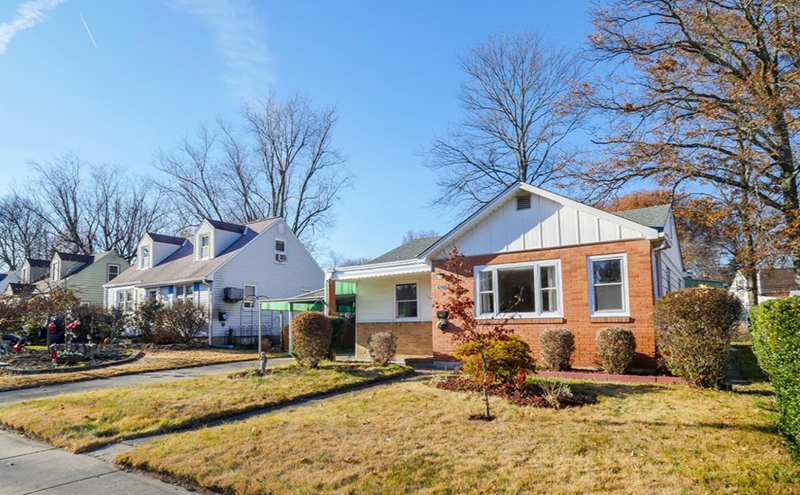 Welcome to 658 Barclay Avenue, a move‑in ready, brick front, three-bedroom home in the sidewalk‑lined, Washington Heights neighborhood—walking distance to Historic Summerseat, Williamson Park and the Delaware River. For details and photos see Washington Heights at Morrisville Boro Homes For Sale. This home offers plenty of private parking including an elongated carport. Inside, a bright and airy ambiance fills the living room where hardwood floors add a warming character to the freshly painted, neutral decor that is upgraded with crisp trim work. The dining room, with lighted ceiling fan enjoys a free flow to the kitchen through a hinged door that gives you the option for privacy when you want a more intimate atmosphere. A large, spacious kitchen boasts convenient access from the carport, has easy clean tiling, and overlooks the sunroom from the sink area. The laundry room provides extra organized storage and the attic entrance. The master bedroom includes the beautiful wood flooring and an abundance of natural light. Bedroom two also enjoys nice light and the original wood floors. A walk-through powder room can be accessed from the front or back end of the home. The third bedroom features a lighted ceiling fan and dual windows that bring in a soft infusion of natural light. The full bath has a large vanity area and deep mirrored medicine cabinet. The sunroom creates a great space to relax and overlooks the backyard. The level backyard offers easy maintenance and enjoys a mix of sun and shade. To arrange a private showing contact the John McClintock Team at 267‑759‑9518.